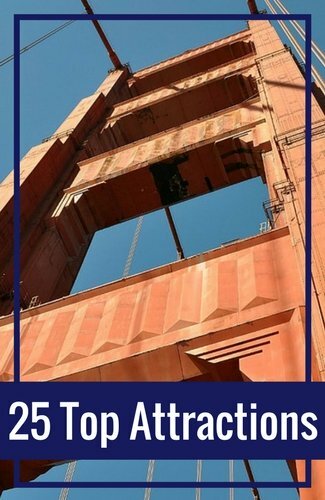 Some of the best family things to do in San Francisco include cruising around the SF Bay, visiting interactive museums like the Exploratorium, and riding bikes over the Golden Gate Bridge. There are also plenty of trails, parks, and lookout points for families who like to stay active and outdoors. In addition, take the kids to a fun Broadway musical or a pro sporting event for a cultural experience they'll never forget. Read on for information about whale watching, cable car riding, and so much more. The most visited museum in San Francisco is the California Academy of Sciences in Golden Gate Park. It's great for the entire family, as it appeals to varied interests. Whether people are fascinated with plants, animals, outer space, or even dinosaurs, adults and kids alike will learn something new while having fun in the living rainforest, aquarium, planetarium, and natural history museum. All of that housed in one building is a win for everyone! A visit to the Exploratorium is one of the family things to do in San Francisco that creates truly memorable educational experiences. 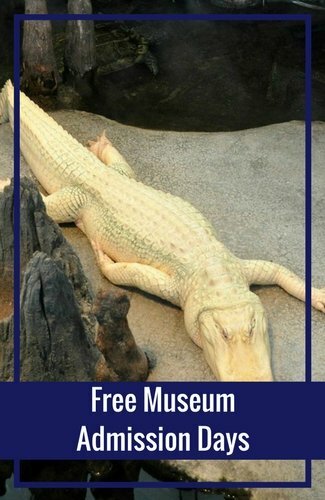 With so many smartly designed interactive displays spread across five large and distinct galleries, this museum piques the curiosity of any age, and is a fun way to keep everyone occupied. Find it at Piers 15 and 17 along the Embarcadero. Explore San Francisco's geography in all its glory with a cruise on the SF Bay. The views of the city skyline, Alcatraz Island, and the Golden Gate Bridge (from up close and beneath!) 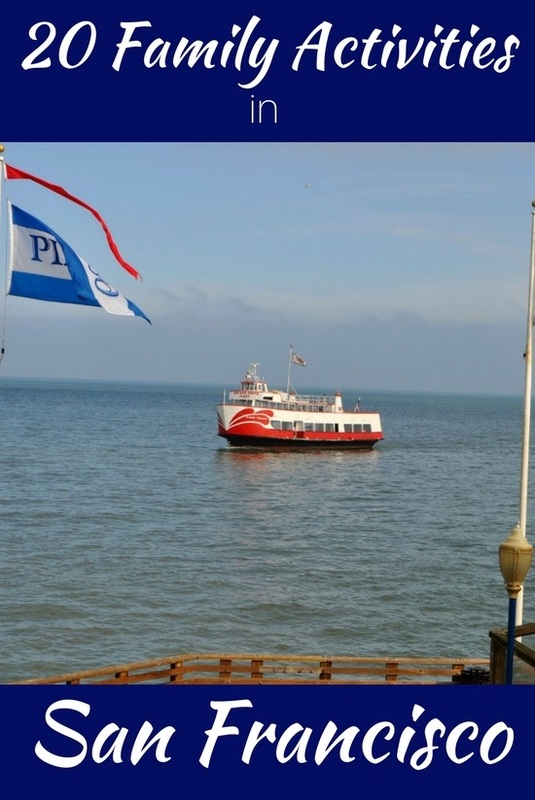 are sure to impress, not to mention the pure fun of being out on the water and feeling the fresh sea breeze. The boat ride is safe and fun for the whole family, including little ones and older folks, as you'll find both indoor and outdoor seating areas with great views. Another great way to see San Francisco's famous Golden Gate is by riding a bike right over it--you can't get any closer! 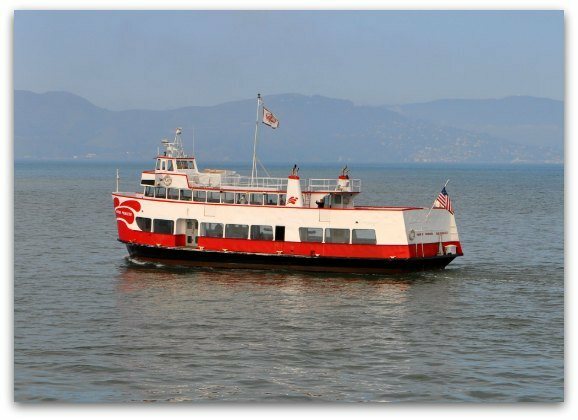 On the 3-hour tour, you'll make your way along the waterfront from Fisherman's Wharf to the bridge, and end in the quaint town of Sausalito on the north side. Then, you can either ferry back or ride the bridge again. This is a great activity for active families who love the outdoors, as your tour includes a full-day bike rental, so you can continue exploring on your own after the guided portion ends. Do your kids love movies, roller coasters, and video games? The 7D Experience combines all three, so it's certain to be a hit with your family. It's a great opportunity for adults and kids to play together. You'll enter a room with just 20 special moving seats, put on your 3D glasses, strap in, and shoot the bad guys. This attraction is located at Pier 39, right in the heart of the Fisherman's Wharf district. Any sports fans in the family? If so, you're in luck, because the SF Bay Area is home to two pro baseball teams, two pro football teams, and a championship basketball team. See the SF Giants play right here in the city at Oracle Park (formerly AT&T Park), or head across the bay to Oakland to watch some A's baseball, Raiders football, or Warriors basketball. In the South Bay, you'll find 49ers excitement as well as pro hockey and soccer teams. 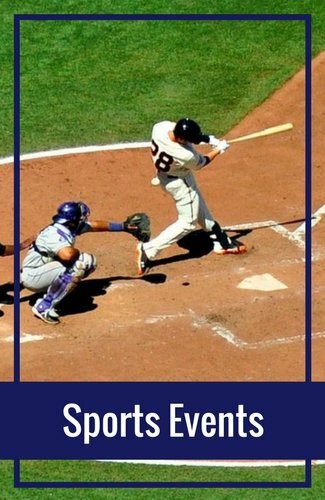 Attending a sporting event is one of the family things to do in San Francisco that the kids will always remember! One of the best ways to save on tickets and tours is on Goldstar. They offer discounts on their tickets at 30%, 40%, and sometimes even up to 50% off. Here are just a few of their most popular ticket discounts. Hopping on a historic cable car to ride up and down the hilly streets is one of the most classic family things to do in San Francisco. Whether you're seated inside or hanging on the edge for the best views, adults and kids alike will get a kick out of the sights and sounds of this noisy SF icon, the cables whirring underneath and the bell ringing to announce its arrival. And apart from the novelty of the experience, it's also a great form of transportation to get you to Union Square, Chinatown, or Fisherman's Wharf! Taking a whale watching tour out on the ocean is an exhilarating experience for nature-loving and adventurous families. We've all read about or seen videos of these majestic marine mammals, but can you imagine seeing them in person in the wild? The Pacific waters just off the coast of San Francisco see an impressive migration of different species throughout the year--from humpbacks to grays, sperm, blue and killer whales. Share this incredible experience with the whole family. If your family doesn't mind walking a little, a great option for sightseeing (and learning about what you're seeing) is joining a free walking tour offered by SF City Guides. The guides are very knowledgeable volunteers who are experienced with taking the group at a comfortable pace and explaining the history and culture of the areas you visit. 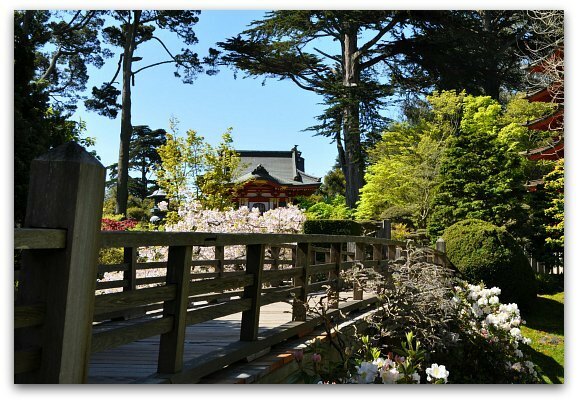 Depending on your family's interests, you can choose from a wide range of tours, including the Japanese Tea Garden, the Golden Gate Bridge, SF architecture, the living legacy of the Gold Rush, and so much more. Red-bricked Lombard Street is another one of SF's famous sights. It's an easy attraction to visit with the family because it doesn't require any admission; it's a public street that you can drive or walk on, and admire from the bottom as the cars slowly zigzag down. For kids, it's almost like watching their toy cars traverse a winding track, but in life size! Take an SF family photo in front of the colorful gardens lining this crooked street. One of the fun and low-key family things to do in San Francisco is admiring all the colorful street art. There are over 1,000 murals in the city, many of them concentrated in neighborhoods like North Beach and the Mission District. As you stroll around town, noticing these pieces of art on the sides of buildings, garages, alleyways, and sidewalks becomes like a scavenger hunt for the kids, but also an interesting way for the whole family to discover things about the people and culture of these areas. Another fun outdoor activity for families is finding and climbing the different sets of unique stairs around the city. There are beautiful flights in the Inner Sunset and Inner Richmond Districts, as well as in the Bayview. Each is covered with colorful tiles that come together to form giant pictures of flowers, fish, and other natural scenes, which you can admire from the bottom. 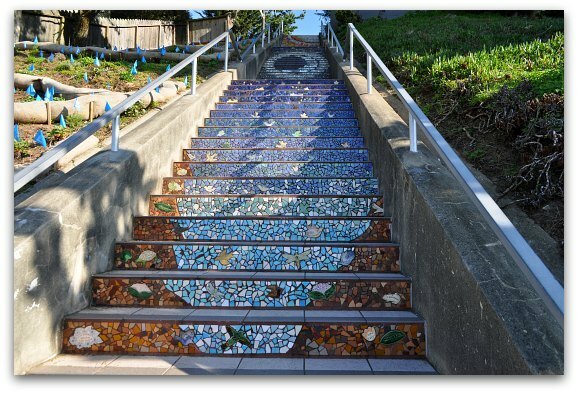 Then, as you climb each step with the kids, not only are you getting a little exercise, but you also get to zoom in and see how each part of the artwork was formed. It's hard to beat the view from the top of Twin Peaks. For an exhilarating outing and excellent photo op, take the whole family up to the 922-foot peak, the second highest point in San Francisco, for some amazing 360-degree views of the Bay Area. Not only is Twin Peaks a great lookout point, it is also an impressive nature area, home to the endangered Mission Blue Butterfly, birds, rabbits, and coyotes. You can drive or take the bus close to the top, then walk an easy trail to the peak, or spend more time enjoying the trails that extend farther down the mountain. Click the links below for deals on your hotel in San Francisco. All year round, you'll find a vibrant theater scene in San Francisco. We're lucky to get some of the top musicals that come out of Broadway, including fantastic family-friendly shows like The Lion King and Finding Neverland. 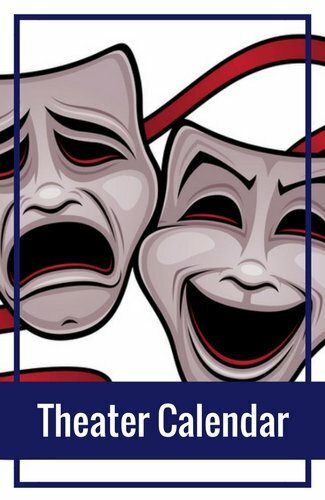 It's a wonderful opportunity to share with kids the magic of attending a live show in a historic theater and watching the characters and set come to life on stage. 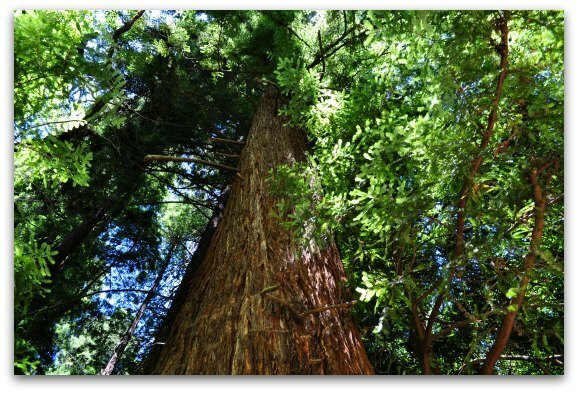 Muir Woods National Park is a world-famous site for its flourishing forests and towering Coastal Redwoods, and it's only a half-hour drive north of San Francisco, across the Golden Gate Bridge. With seemingly endless paths and trails that wind among the 600+ year-old pines, you'll experience the wonder of feeling small right alongside your kids! This is one of the best family things to do in San Francisco. Another fabulous outdoor activity for active families is hiking the trails by the bay and ocean. On the northwestern corner of San Francisco, you'll see the unique part of the waterfront where the bay waters meet the Pacific, offering beautiful beaches and some of the very best views of the Golden Gate Bridge. The Coastal Trail will take you and your family along the Presidio, the SF District that also houses a bowling alley, a golf course, and the Walt Disney Museum. 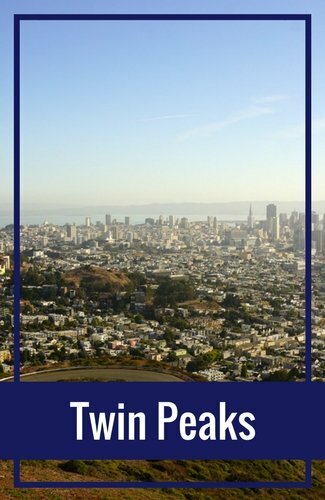 Do you want to take your family to all the top attractions, like the Golden Gate Bridge, Chinatown, Fisherman's Wharf, and Twin Peaks, all in one trip? If so, the Deluxe Half-Day City Tour is the perfect option. Sometimes when traveling with the whole family, it's a challenge just to get everyone from place to place, but this tour's driver-guide will conveniently transport you from one famous site to another while offering commentary. And it'll only take one morning or afternoon, so you can still spend the rest of the day enjoying other family things to do in San Francisco. 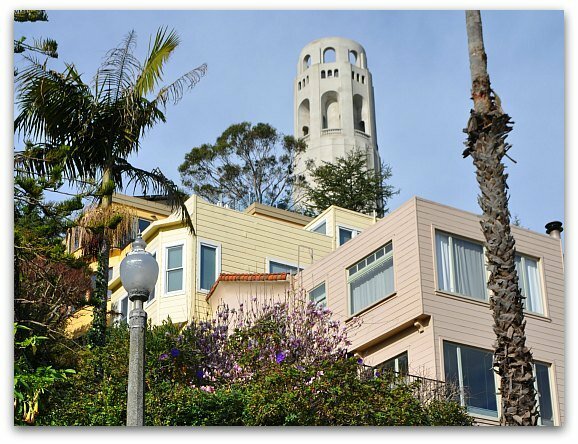 Explore another SF city icon with the family by taking them to Coit Tower at the top of Telegraph Hill. Whether you and the kids walk up the hill using the staircase surrounded by the area's resident parrots, or ride up to the front door on a public or tour bus, you only have to walk inside to enjoy the historic Diego Rivera-inspired murals for free. Then, you can pay a small fee to take the elevator up to the observation deck for some excellent 360-degree views of San Francisco. 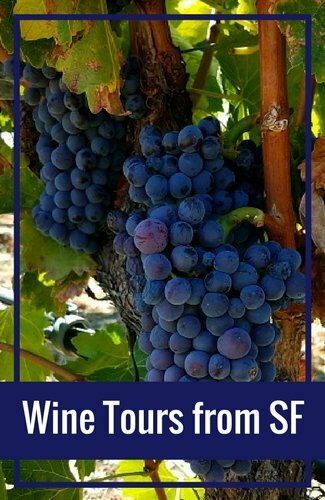 This is one fun tour sure to captivate the kids' imagination while satiating the adults' desire to check off their sightseeing bucket list and learn more about the city. On this 4-hour "city safari," a knowledgeable, friendly guide will drive your open-air game-viewing vehicle to SF's top landmarks and take you hunting for the city's hidden gems, film locations, historic architectural sites, and more. While the guide fills you in on all the fun facts about these locations, you can also request certain stops that you're curious about within the city limits. 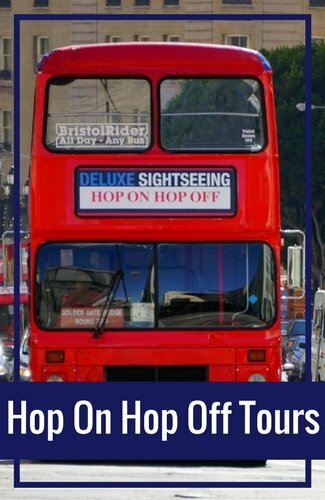 This tour option is wonderful for families who like to explore famous sites at their own pace without a guide, but still appreciate the convenience of having a tour bus take you from one attraction to another. There are 17 stops along this 2-hour route, with live narration of what's what, and you get to choose which stops to hop off at. Then your family can take their time there before hopping on the next bus to continue the route. The tickets are good for either one or two days.